It has never been a secret that money wins elections. The necessity to deliver political viewpoints and name recognition via television commercials, flyers, yard signs, etc. has long been the United States’ campaign culture, the funding an essential component of that system. 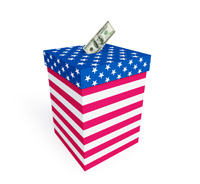 The regulation of where this money comes from has always had a controversial history in the United States, starting with the 1907 Tilman Act law that prohibited corporations from contributing to political campaigns directly. In 1947, with fear that the Unions were becoming too powerful in the country, Union contributions to political campaigns were also prohibited as part of the Taft-Harley Act. Retaliating with an angry response to what many labor leaders called the “slave labor act”, they created a separate political fund they simply called “The Political Action Committee (PAC).” As it turned out, the labor unions were the first to find the loophole (contrary to what the major media outlets tell you, Super PACs were an invention of the Left). Eventually, those PACs would get regulated too. The rules were stated more clearly in the 1970 amendments as followed; Corporations and unions could not directly contribute to a PAC, though they could fund the administrative costs to keep a corporate-affiliated PAC running. Even then, they could only solicit money from people related to the company– shareholders, family members, or employees. But after the 2010 Supreme Court case Citizens United v. Federal Elections Committee, the Supreme Court ruled that corporate money and the first amendment were one in the same. Money was free speech. And if a corporation has an interest that runs contrary to a politician’s plans, that politician better have the Super-PAC funded money to protect the future of his job. Or be defeated. Which is exactly what happened to Seattle Mayor Michael McGinn when he decided to fight against Comcast. Four years ago, before being elected mayor, McGinn made a promise to bring municipal fiber to his city. As soon as he took office he sat down with his Department of Information Technology (DoIT) and the Public Utilities departments to figure out a way to connect the city using their optic fiber network. Besides the city’s use for it in their designated facilities, the network was being largely unused, something they coined dark fiber, and McGinn wanted to find a way to leverage out the unused fiber to the private sector. They worked hard to put the word out about the possibilities dark fiber could bring to the public, advertising about the increased speed and cost drops from the giant internet providers like Comcast or [email protected] The interest started to show. Finally, a company called Gigabit Squared entered into an agreement with the city to set up fourteen pilot neighborhoods. It was starting to take off, and McGinn wanted to expand. Comcast was clearly keeping an eye on the developments in Seattle. 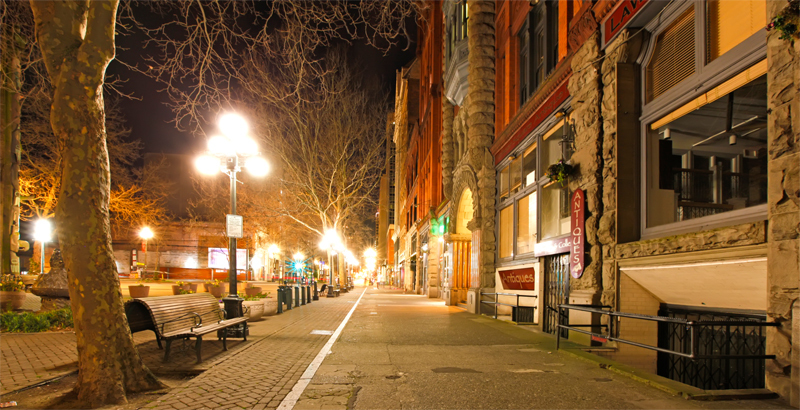 Originally, they’d struck a deal with the mayor to wire up fiber optic cable in parts of Pioneer Square, one of Seattle’s oldest neighborhoods, and tried it out with nearly 50 businesses. But McGinn changed his mind with them and once the Gigabit Squared deal was made in February, Comcast decided to take action and stop the competition before they expanded. McGinn had argued in many interviews the ‘importance of more competition.’ Now, he had become that competition. After the revelations of Comcast’s donations became public record, McGinn’s campaign jumped on it. He wanted people to know about the injustice of it all. In an interview to the Washington Post, he said the donations to the Murray campaign ‘speaks for itself.’ He made personal digs at Comcast by claiming they were his Internet provider, and he ‘would like better service.’ He told Reddit in an Ask-Me-Anything session that he didn’t know what would happen to Gigabit Squared if Murray was elected, but he did know that Comcast gave Murray ‘a big pile of money’, implying that Murray was somehow the ‘Comcast candidate’. His frustration with all the money pouring into his opponent’s campaign wasn’t enough to raise eyebrows for long. In the end, it came down to money. And the election went to the man with the most of it. Ed Murray. His total contributions amounted to $722,000 while McGinn contributions only totaled $447,000. Comcast denied any of the contributions being about the Gigabit Squared deal, which would be like William Randolph Hurst claiming he asked movie companies to burn every copy of Citizen Kane simply because it was a bad movie. They’d rather everyone not know that municipal fiber would be bad for business. Regardless of the reasons for McGinn’s defeat, the enemies he allegedly made with the council, his faded liberal base, the Seattle transit issues, one thing is certain—Corporate money played a big part in his defeat. As it will continue to do so in the United States, the politicians won’t be winning these elections. The big corporations will. And if it’s their first amendment right to talk with big money, they’ll always have the last word. Matt McKinney is a freelance journalist originally from Boston, MA. After his graduation from Berklee College of Music, he became a rock journalist, music critic, and all around professional blogger. His passion for technology, current events, and the entrepreneurial spirit has always been an interest that concerns the young musician while navigating the tricky world of the music industry. He now resides in Chicago, IL.